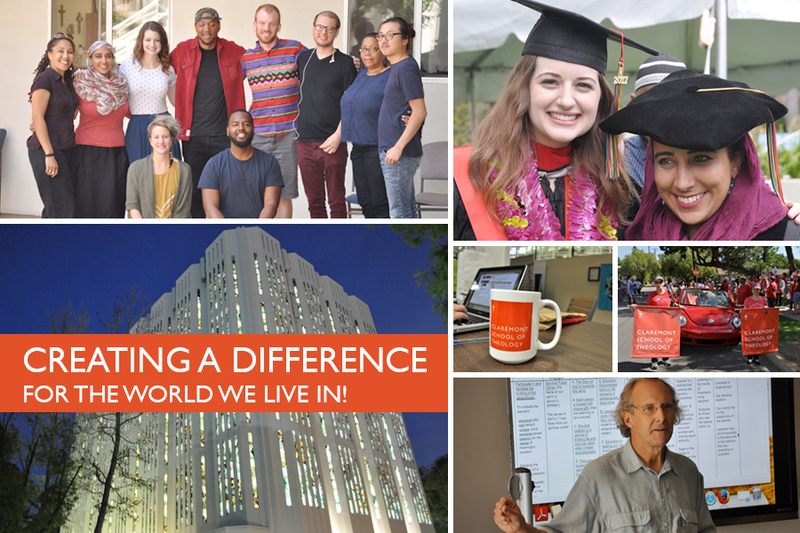 The faculty, staff, and administration at Claremont School of Theology are thrilled to welcome you to the CST family and congratulate you on your outstanding education accomplishments. PHASE 1 – YOU’RE ACCEPTED!…NOW WHAT? Confirm your enrollment by submitting your confirmation form and your $200 confirmation deposit here. If you believe you have graduate level credits from another institution that are eligible for transfer, please contact your Admissions counselor for verification and mapping to your degree requirements. File Housing Reservation Request if applicable. $60 non-refundable fee applies. Write housing@cst.edu for any additional questions. Fill out the housing application and submit payment here. Financial Aid Appointments – Please call (909) 447-2554 or send an email to cstfinaid@cst.edu to schedule an appointment. Appointments are available via email, phone, or video conferencing. Complete the FAFSA if you haven’t already done so, and have the results sent to CST (school code: G01288). Accept your financial aid package once it is available in the CST Student Portal. Students who have been awarded Federal Loans need to complete a Master Promissory Note (MPN) and Entrance Counseling at studentloans.gov. Log into the Student Portal. This is where you register for courses and access financial aid, billing, and transcripts. Log-in information can be found in your admission packet. Technology Requirements: Please read more about what’s required of all students at CST regarding technology, including special information for Hybrid Students. Get to know the CST staff. Join our CST Facebook Group! page coming soon! PHASE 2 – YOU CONFIRMED!…NOW WHAT? Log in instructions can be found here: CST Email Log In Instructions. If you need to request reasonable accommodations, you can do so here through our disability office. Please see here for more information regarding disability services provided. Associate Dean of Student and Community Life. C) Complete the Pre-registration form. You will be contacted by a Pre-Advising specialist in regards to setting up a pre-advising appointment. Appointments can be done via phone, video conference or in person on campus. How Do I Register for Classes? Click here for detailed instructions. Once Pre-Advising is complete, receive a PIN and Registration instructions. Once we verify you completed the pre-registration form and pre-advising, you will receive a PIN from us. PHASE 3 – YOU REGISTERED!…NOW WHAT? Please view our latest page that introduces you to different departments and key staff members on campus. You can also view some tutorial videos that will help you as you start your journey here at CST. How to be a successful CST student…..
All Tutorial Videos Collected here. TBA (includes lunch along with dinner following at President Kuan and Val Toh’s home). NOTE: Need to be signed into your CST email in order to RSVP.